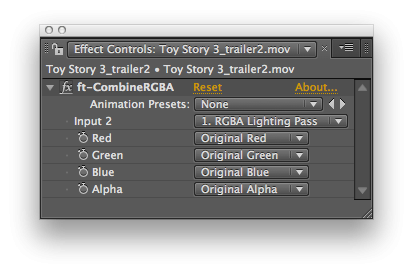 ft-CombineRGA Pixel Bender plugin allows you to shift channels or combine channels from a second source. What makes this plugin special versus the similar plugins that comes with After Effects, is that it works in 32bit and has a very simple to use UI. This plugin replaces textures by using a UV map.